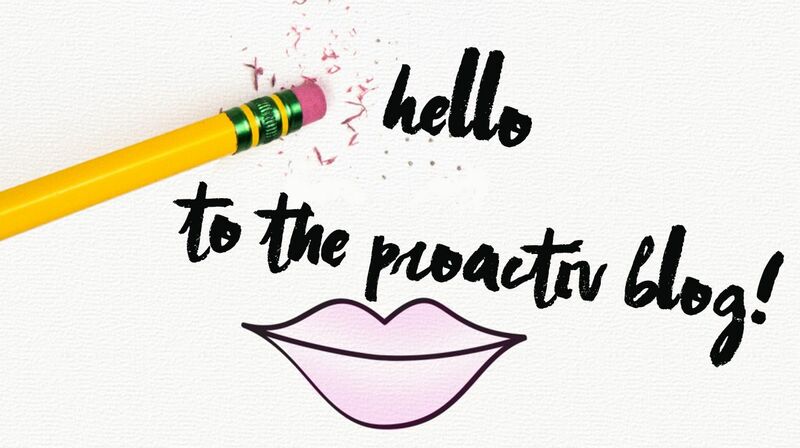 We’re so excited about welcoming you all to the Proactiv beauty and skincare blog. Whether you’re an avid beauty enthusiast, a detox diva, a beauty blog junkie or simply looking for skincare advice then we have something for you. Every week we will bring you something different; something to help you with seasonal skin problems, health and well-being advice or information about our products. We will keep you up-to-date with our news and comment on trends and fads. Our blog will be full of tips, expert advice and fun facts and we hope that our advice will enable you to feel a true sense of inner confidence. The confidence that you feel inside is reflected on the outside and our blog aims to keep you ahead of the beauty game. As the brand used by over 20 million people worldwide our mission is to stop the suffering associated with breakouts, we want women & men of all ages to look and feel confident in their skin. Proactiv fights existing skin problems and controls future breakouts before they even happen. It works hard to leave skin feeling smooth, healthy and hydrated. We’re looking forward to getting to know you all better over the coming months….